Since 2011, we have partnered with the Australian River Restoration Centre (ARRC) to deliver ‘Rivers of Carbon’, which engages landholders to protect and restore rivers across New South Wales. The project aims to empower people to respond to climate change by restoring and relinking their rivers to boost biodiversity, sequester carbon and promote wellbeing. 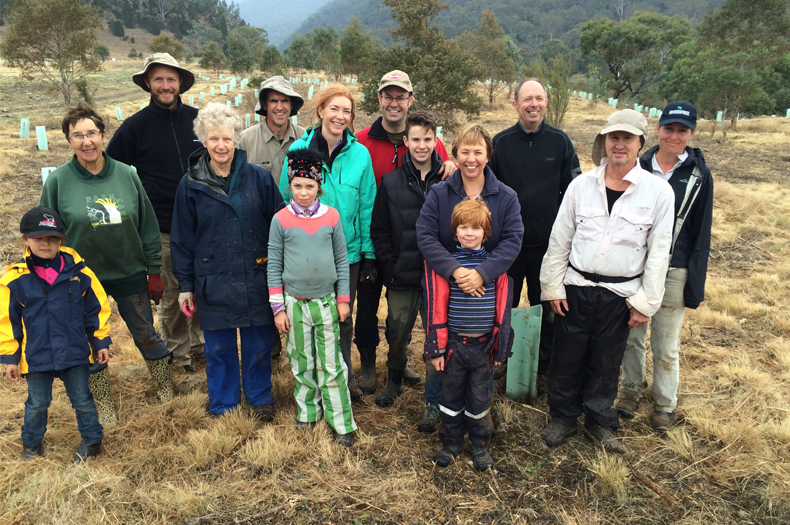 Rather than focusing on one river, the partnership works with local communities to protect and restore the many streams, creeks and wetlands that connect to larger river systems like the Murrumbidgee and Lachlan. Building on the success of the original project, the partnership has facilitated the roll-out of six major Rivers of Carbon projects in Yass, Lachlan, Murrumbidgee, Goulburn, Burra and the Breadalbane region of New South Wales, with more projects in the planning stages. We are also working with Water New South Wales to protect and restore Sydney’s water catchments. Through the partnership, almost 1,000ha of rivers have been revegetated, a further 1,000 ha of remnant vegetation protected, 122 km of stream fencing installed and 1,652 volunteers engaged. During our long-standing partnership, the Australian River Restoration Centre has collaborated with Greening Australia on a variety of projects, helping to secure more than $3 million in funding. The ARRC also supports Greening Australia by promoting our work through their website and social media channels, and provides our staff with development opportunities such as the chance to attend related conferences and workshops.